The following is a list of ingredients we use in our recipes. A brief description of each item is provided along with the location where it can be purchased. 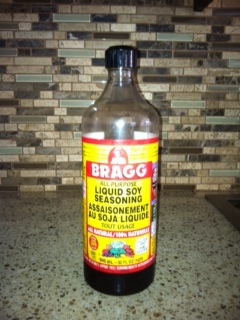 Bragg All-Purpose Liquid Soy Seasoning (Liquid Aminos) – Great alternative to soy sauce. 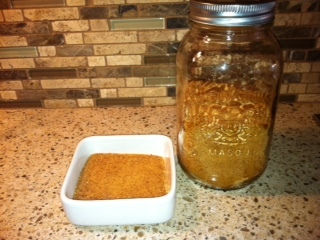 Liquid Soy Seasoning/Bragg Liquid Aminos Seasoning adds taste delights to most foods. Found at health food stores and in the Organic section of most grocery stores. In the US, it’s called Liquid Aminos. Almond Flour (Ground almonds)- Can be purchased as almond flour from the Bulk Barn or Organic section at most grocery stores. 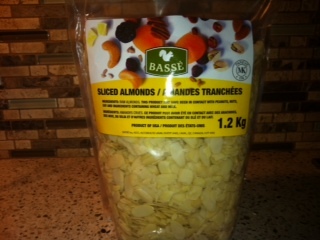 We purchase the slivered almonds from Costco ($10.59 for 1.2Kg). We then use our food processor to grind it into almond flour. The Magic Bullet has also worked well if you do small amounts at a time. 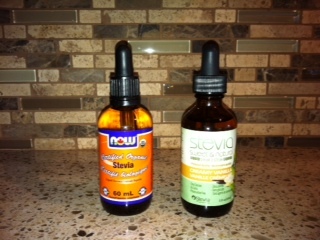 Stevia- A natural sweetener derived from a plant that does not raise your blood sugar. It can be used as a substitute for sugar in recipes. It is extremely sweet so small amounts as indicated in the recipes will suffice. Available at health food stores and in the Organic section at most grocery stores. 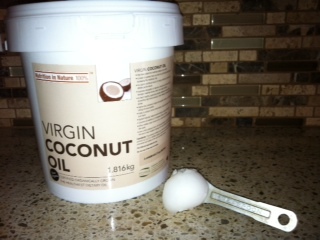 Coconut Oil- Heart healthy oil excellent for baking and cooking in general. Found at health food stores and Organic section of most grocery stores. 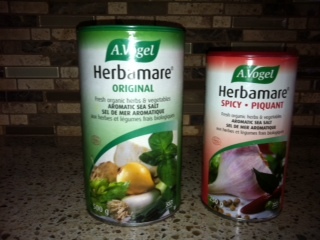 Herbamare Aromatic Sea Salt– Excellent natural seasoning to add to any meal. Adds great flavour to raw vegetables as well. Found in health food stores and the Organic section of most grocery stores. Original and Spicy are our favorite flavours so far. 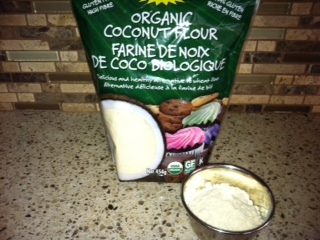 Coconut Flour- This flour is used in baking and unlike other flours, a little goes a long way. Comparatively, very little of this type of flour is required in recipes. 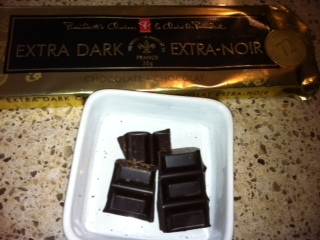 Found at the Bulk Barn, health stores and Organic section of most grocery stores. Coconut Palm Sugar- Coconut palm sugar is a low glycemic non-fructose sweetener that is the perfect alternative to many refined sugars. Its taste resembles that of brown sugar, yet with more rounded caramel and butterscotch notes. Found at the Bulk Barn and now available in some health food stores. Dark Chocolate- The antioxidant benefits of chocolate are derived from the cocoa solids, make sure your chocolate is 70% or higher. This bar is purchased from the Superstore and is 72%. I often chop up pieces of this bar to act as chocolate chips in sweeter recipes as it isn’t always easy to find 70%+ dark chocolate chips. 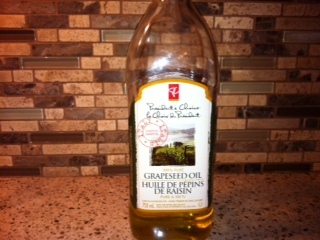 Grapeseed Oil- Used as a substitute for butter in some of the gluten-free recipes for those who may have more of an intolerance to dairy. Found in most grocery stores. Hemp Hearts- A raw food that is high in protein and Omega 3’s. Available at health food stores, Organic section of grocery stores and Costco.